What does it mean to be culturally Jewish? What can Judaism offer to the secular individual? These fundamental questions relating to Jewish identity in the 21st century are at the heart of TAU’s Ofakim (Horizons) teachers training program founded and supported exclusively by the Posen Foundation. The program recently celebrated its 10th anniversary at a special ceremony paying tribute to its founders: Felix Posen, President of the Posen Foundation, his wife Jane, and the Posens’ son, Daniel, CEO of the Foundation. Keynote speaker at the event was Israeli author Amos Oz, a close friend of the Posen family. The Ofakim Program was designed to equip teachers with the tools they need to educate Israeli schoolchildren about Judaism as a culture and a civilization. 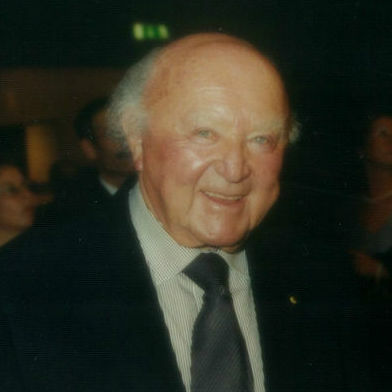 The program reflects Felix Posen’s vision of educating the secular Jewish majority about Jewish history, philosophy, literature and culture. To date, the program has graduated several dozen educators who in turn have taught 10,000 Israeli schoolchildren. In his address, Felix Posen said he chose Tel Aviv University for the Ofakim Program because of its excellence in Jewish studies. “The University very skilfully recruited the best students interested in becoming teachers in Judaism as a culture and it was very gratifying that it was able to place all the Ofakim graduates into the state schools,” he said. “Our Foundation has spent over three decades in this field but we are still at the very beginning. To reap the full benefit of individuals educated in the field of Judaism as a culture, and to have enough programs embedded in society, will take decades. The steep opposition we met three decades ago has clearly lessened, and the results of new demographic studies, both in the USA and Israel, show clearly that the majority of our people now lean towards secularity. We have no doubt that this new way of teaching will, in a few decades, be taught in the majority of Jewish day schools worldwide. 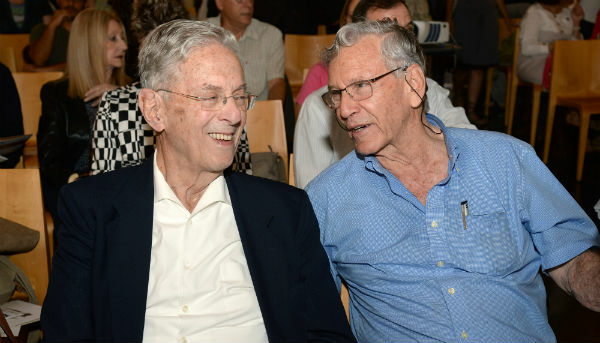 Pictured: TAU benefactor and Ofakim Program visionary Felix Posen (left) with Amos Oz. “It has been a special privilege and a great pleasure to personally witness how a syllabus has been successfully created by a dedicated team at this great university, and in the most positive of ways, without ever depreciating the religious origin of our rich history and culture,” said Posen. In his address, Amos Oz maintained that the secret of the vitality of Jewish civilization through the generations lay in doubt, argumentation and chidush (new ways of thinking). “The Ofakim program is in the spirit of chidush. We would like to see the spirit of creativity, argument and chutzpah prevailing,” he said. 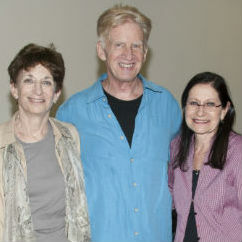 The ceremony was preceded by a symposium on “Cultural Judaism in the 21st Century” featuring guest speakers Maj. Gen. (res.) 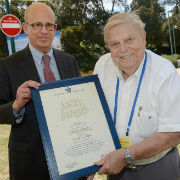 Uzi Dayan, Chairman of Tafnit and founder and president of the annual Israel Conference for Social and Economic Policy in Sderot; Gidi Grinstein, Founder and President of the Reut Institute; and Prof. Michal Govrin, novelist, poet and theater director. Presentations were given by three students in the Ofakim Program: Adam Lloyd-Alfa, Maayan Morag and Nimrod Golan-Palmach. During the ceremony, Prof. Klafter presented Jane Posen with a gift in appreciation of her steadfast support. “Jane has stood by Felix’ and Daniel’s side throughout this process,” he said. Also participating in the ceremony were Head of the Department of Heritage, Ministry of Education, Tzila Miron-Ilan; Director of the Posen Foundation Yael Nakhon-Harel; Head of the Ofakim Program Prof. Ron Margolin; former Program Head Prof. Eli Yassif; Ofakim students and graduates and members of the Board of Governors.